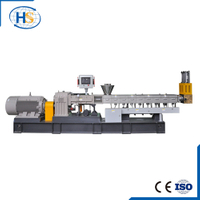 Long Glass Fiber Reinforced PP - Nanjing Haisi Extrusion Equipment Co., Ltd. 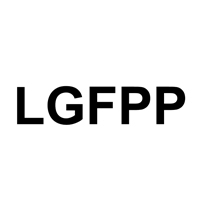 The long fiber has large retention length, which makes PP have better rigidity and creep resistance, higher compressive strength, higher flexural strength, better impact property and higher service temperature. maleic anhydride graft ethylene propylene rubber (EPDM-g-MAH) 10%. 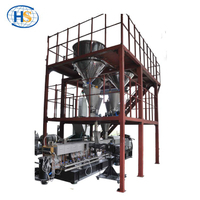 (1) the mixing and the infiltration degree between the resin and the fiber are improved in an open-batch mode; and the influence of the fiber orientation is reduced. At 155 ±5 ℃, add PP and various auxiliaries to melt through the roll gap, and then adjust the roll distance to 10 mm. The mixing time was 15 min with LGF, and the prepreg material was obtained. (2) the compactness and mechanical properties of the materials are enhanced by mould pressing. The cooled sheet of the prepreg is stacked in a plurality of layers, then placed into a die press for compression molding, the temperature is 180 to 5 DEG C, the pressure is 4 MPa, the preheating time is 15 minutes, the pressure maintaining time is 7 minutes, and the pressure maintaining cooling is carried out on the cold pressing machine after the molding is finished. The tensile strength of the prepared long glass fiber reinforced PP is close to 100 MPa, the bending strength reaches 90 MPa, and the impact strength is about 70 kJ/ m2.